England will host New Zealand and South Africa in a triangular Twenty20 International series starting Wednesday, 20 June. Here’s a look at what to expect. The three teams will play one another twice over three days. 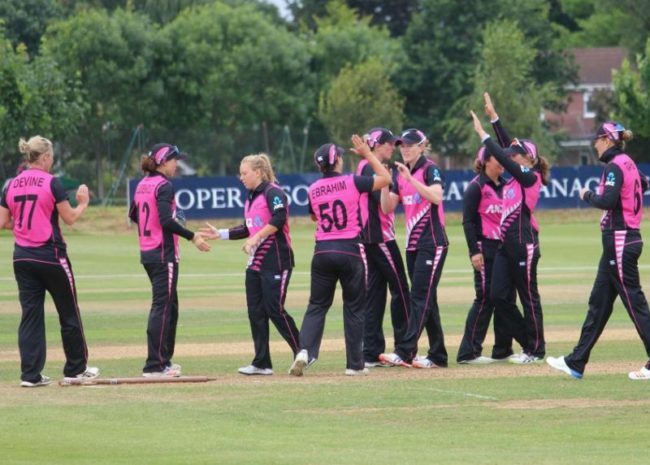 The matches will be in Taunton and Bristol, with the final on 1 July in Chelmsford. Two matches are scheduled on each of the first three days, so one team will be playing two matches each day. This will require considerable reserves of mental and physical fitness. The teams will be playing keeping in mind the ICC Women’s World T20 2018 in November in the Caribbean. The tri-series, against top opposition, offers them a chance to get match practice in the format, and get a better idea of their line-ups, strengths and weaknesses. “It’s our last series before the World T20, so it’s about getting our team right and it’s going to be a big challenge against some of the world’s top players,” said Heather Knight, the England captain. All three teams come into the series having played one-day international cricket. 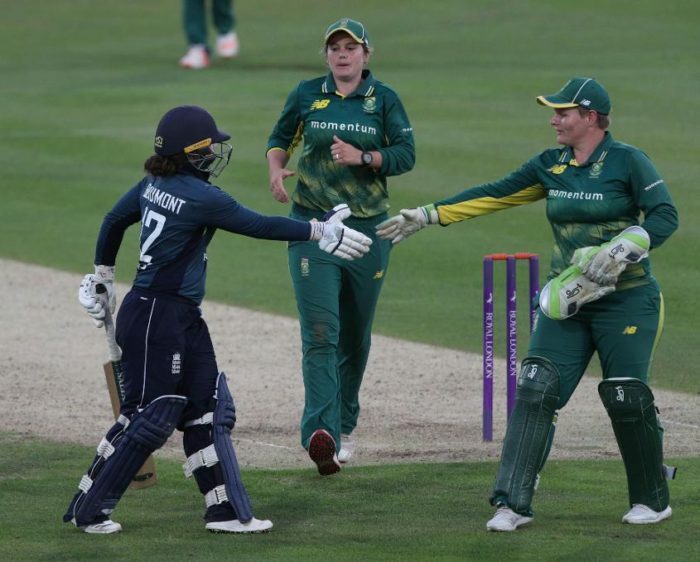 England fought back from behind for a 2-1 scoreline in their favour in the ICC Women’s Championship series against South Africa, while New Zealand swept Ireland away. Irrespective of the format, the White Ferns seem to have been in T20 mode since their tour of England and Ireland began. They first chased down Ireland’s 136/8 inside 11 overs without losing a wicket in the one-off T20I, and then thrice put up 400-plus scores in the ODIs. That’s three of the top four totals in women’s ODIs just on this tour. South Africa, however, lost their T20 warm-up match to the academy side by 44 runs. Tammy Beaumont: The England opener is coming off two ODI hundreds, both in winning causes. The second, in Canterbury, came in a chase and was her “proudest hundred for England”, she said. Lizelle Lee: That the South Africa opener can smash the ball to all parts of the ground was known. But in recent times, she’s added more to her game, and showed in the ODI series that she could drop anchor as well. She comes off scores of 92*, 117 and 2, and is up to No.2 in the MRF Tyres ICC Women’s ODI Rankings for batters. Amelia Kerr: The 17-year-old made history in Ireland by not only toppling Belinda Clark’s 1997 record for the highest score in a women’s ODI, but also adding five wickets to her 232* in the third ODI. The last time she was in England, for the World Cup, she caught attention for her leg-spin. But now, considering that she also made 81* off 45 balls in the first ODI, it’s time for international teams to be wary of the youngster’s batting as well. England, meanwhile, have perhaps a problem of plenty. Their playing XI is not certain, with several players unlucky to miss out. The form of the exciting Nat Sciver is a concern, but coach Mark Robinson is backing her. “[She is] hitting the ball really well, she’s practising as well as anyone, she’s just not been able to convert and has got a couple of low scores. She’s a fine, fine player and can’t fail because she’s a three-in-one cricketer, she bowls well and she’s excellent in the field,” he said. South Africa: Dane van Niekerk (c), Lizelle Lee (wk), Chloe Tryon, Mignon du Preez, Marizanne Kapp, Shabnim Ismail, Ayabonga Khaka, Masabata Klaas, Raisibe Ntozakhe, Suné Luus, Laura Wolvaardt, Andrie Steyn, Zintle Mali, Tazmin Brits, Stacey Lackay.